I shot what on accident? Basically, this is the story of a lucky shot. To begin, let's go back a few years. First of all, I am far from a pro-photographer. I shoot on a DSLR, for which I only have one lens. But I am an aspiring photographer. Over the past year or two, I have been learning more and more about photography, not to mention falling in love with it. Also, I am a stargazer by nature so night sky photography has always intrigued me. I remember being in the Upper Peninsula of Michigan a couple years ago, gazing mesmerized at the star-filled sky. This was not long after I bought my first DSLR, and I figured I could use it to snap a quick photo of the beautiful sky. I turned it on and pointed it towards the sky, in auto mode. To my dismay, the blurry picture that resulted hardly captured any of the millions of pinpoints of light I could see with my eyes. This was my first experience with "night sky photography." Once I learned about how a camera captures light, and how to use it on manual mode, I understood why my camera was not able to capture the stars that night, but I was excited for another opportunity to try. However, I live in the suburbs of Chicago, where we're lucky to see just a few stars dotting the sky at night. So, I waited until my family vacation to Northern Wisconsin. There I knew I would finally have the opportunity to try shooting some real stars again and I was excited! Take a look. What do you notice? I captured the Big Dipper 100 percent on accident! I had no idea! 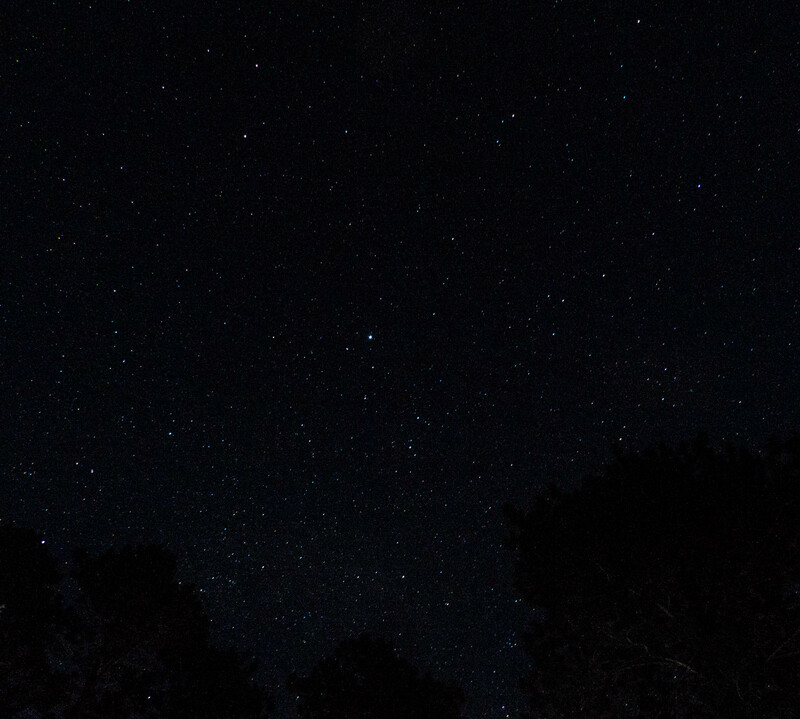 I just pointed my camera at a random spot in the sky, and it wasn't until I looked at the photo afterwards that I realized the Big Dipper was perfectly positioned in my frame. This may not be the best picture in the world, but I feel that it says so much about photography. As photographers, we try to capture the things that we find beautiful or the things that grab our attention, but sometimes, the things we capture have much more significance than we realize. Just a single moment in time can mean so much, and as photographers, we have the power to document that. Over the past few years, I have slowly fallen in love with photography, but nothing has ever fueled my love for photography like this particular photo. Just this one single photo has made me realize so much about the beauty and power of photography. It has inspired me to learn more, work harder, and pursue more photography opportunities in my life. It's crazy how inspiration can come from such small moments and things, and how it comes when we're not expecting it. To any photographers out there: have you ever had a Big Dipper moment? Tracy is a 19 year old college student studying film. She has a lot of weird obsessions like bonsai trees, surfing, Route 66, the 1950s, and showtunes, to name a few. Expect articles about any of the aforementioned topics and more!